Many students at SJHS are involved with Junior Achievement New York, under the guidance of Math and Business teacher Ms. Jodie Schaeffer. 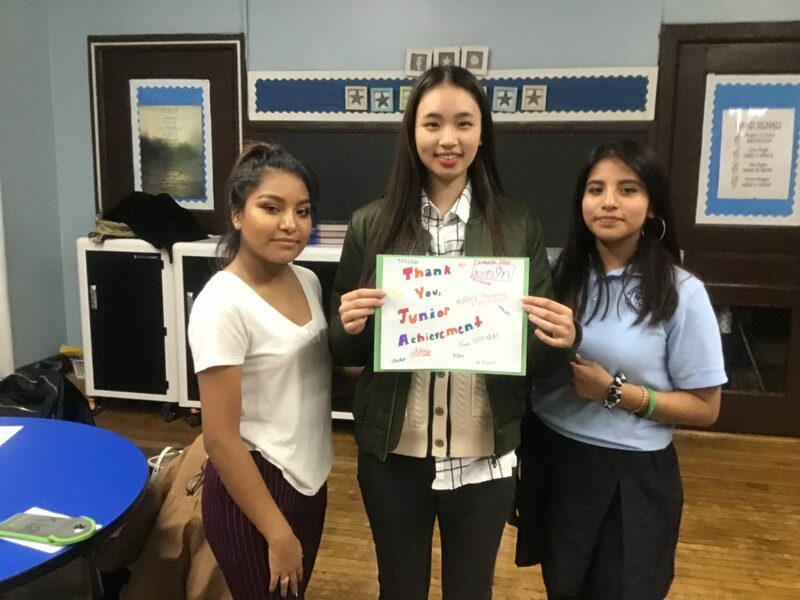 JANY is part of a national organization, Junior Achievement, which focuses on helping students grow in areas such as Financial Literacy, Work Readiness, Entrepreneurial Spirit, and Leadership. 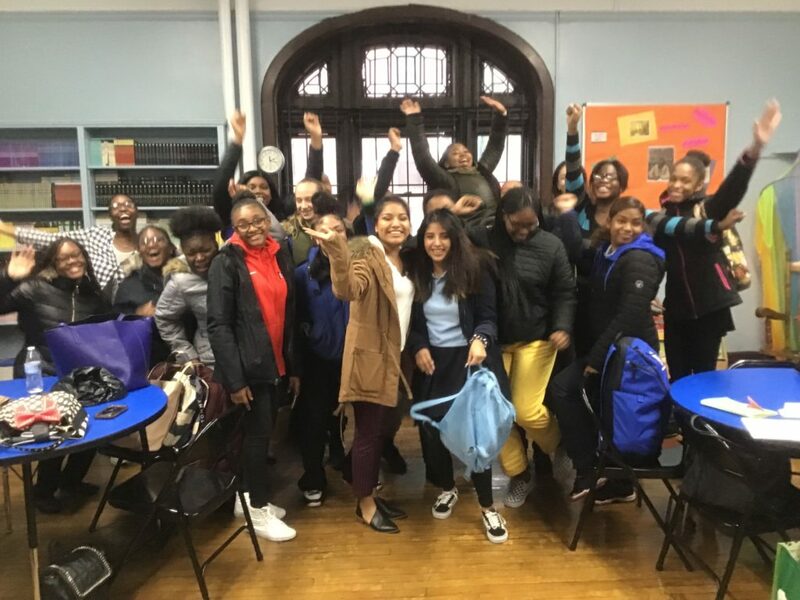 By bringing teens into the corporate workplace through internships and other programs, and bringing mentors from that world into high school classrooms, JANY goes beyond textbooks into a real-world, practical application of financial and business knowledge. 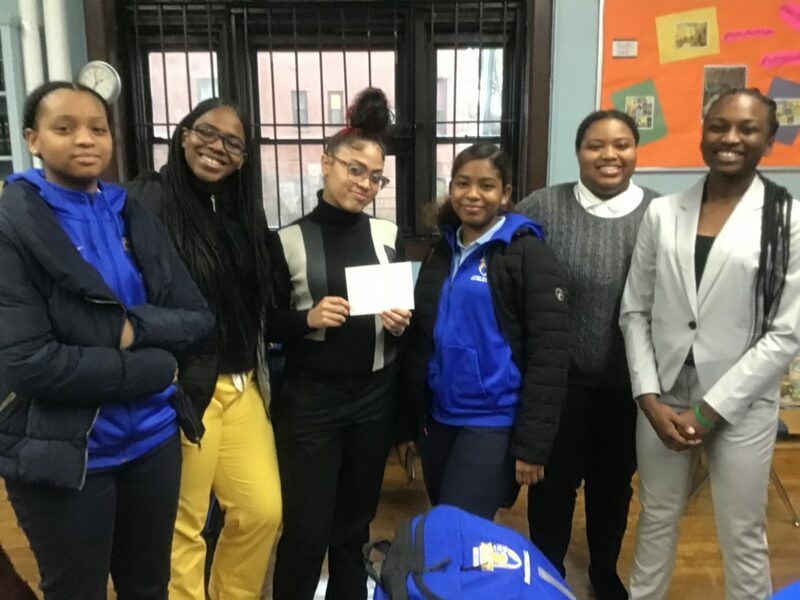 Last year, one of the six teams from St. Joseph High School advanced to the Semi-finals of the JANY Business Plan Competition, which saw participation from over 800 students. 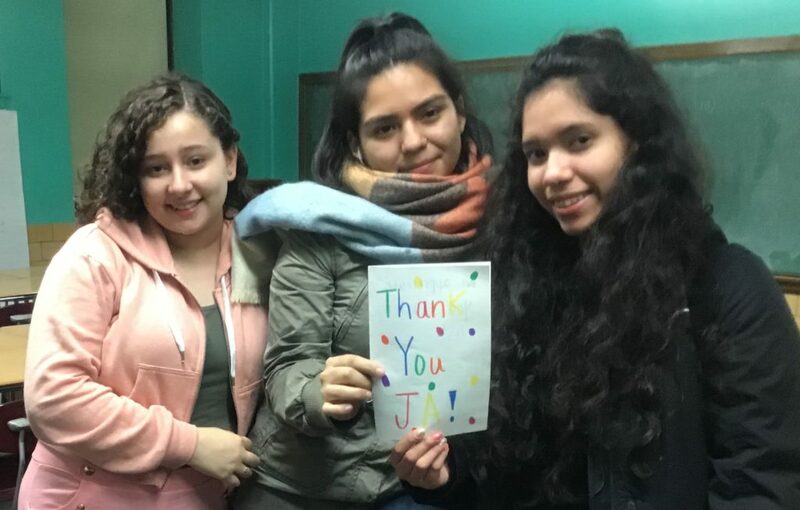 One of the most well-loved annual JANY events our students participate in is High School Heroes. For one day, students visit elementary school classrooms as teachers, sharing what they’ve learned about finances, business and more with much younger students. In preparation for this day, the Heroes participate in a training program where they learn how to design lesson plans, prepare to interact enthusiastically with young children, and practice articulating the lesson material through words and activities that are relatable for kids. Here’s a bit more on the High School Heroes experience, in the words of the Heroes themselves. I was very happy to be given the privilege to go to Queen of All Saints Catholic School to teach a class of 2nd graders. I was a little nervous that I would make mistakes, but I was more excited. Despite being tired from waking up early, I made my way to school with the lesson plan on my mind. When we arrived to the school, I liked how much energy the kids had even though it was so early. My favorite part of the day was during recess when we played a couple games with the kids. It felt nice to act like a kid again. Another funny part of the day was when one of the boys in the class claimed us as his girlfriends. It was so funny! I advise that many other high school students do this program because it’s really fun. All that fun also helps you gain community service hours. You never know, maybe this program could help you change your career path! On November 28, I attended a school named Queen Of All Saints where I was a teacher for the the day. I taught a group of second graders who were 6 to 7 years old. They were all very smart and full of life. When I introduced myself, I told the students to call me by my first name, but one of the students named Tristan wanted to call me Ms. M. instead as a sign of respect. There were three other people in my group and we all had different sessions that we each needed to teach. My favorite part of the day was when I had to teach a session called ”Money Moves”. I had to teach them about coins and how they are used in the communities. I had a great experience. I never took teaching into consideration, but after that day, I found it very interesting. Teaching brought me back to the good old elementary school days where there was coloring and nap time. My advice for other High School Heroes is to have a lot of patience in interaction with the students to build up a strong connection with them. Patience while interacting earned me a beautiful drawing that was made for me by Tristan. Many of the students hoped for me to come back and I hope one day I’ll be able to visit them again!